In math multiplication table we will learn the tables from 0 – 25. These multiplication tables help the students to learn the essential multiplication facts. Multiplication tables are very important for calculation. To memorize the tables we need to practice. Students can take the print-outs of the multiplication tables to revise it in the free time. Parents and teachers can also encourage their kids to learn printable multiplication tables for their exam. Revise daily to memorize the tables which will take 5 minutes of your time. 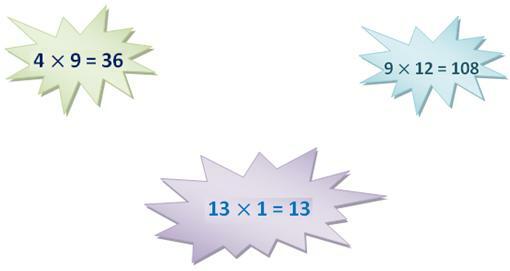 Homeschoolers can also use this website to learn the math multiplication tables. The other way students can easily memorize the multiplication table because it is nothing but just adding the same number over and over which is known as repeated addition. How is multiplication table important in real life? Suppose, if Ron is going to buy 5 pencils in a shop. The shopkeeper told the cost of one pencil is $2. Now Ron needs to find the cost of 5 pencils to pay the shopkeeper. In such a case multiplication table can help Ron to find the exact cost of 5 pencils. Now if Ron knows the multiplication table then he will count the table quickly in his mind and pay the shopkeeper $10 but if he is not sure then he can add $2 five times. So, from here we come to know that kids need to learn the multiplication table because it plays a very important role in the real life. In this topic we will learn 2 times table, 3 times table, 4 times table, 5 times table, 6 times table, 7 times table, 8 times table and so on….. .
0 Times Table. T 1 Times Table. 2 Times Table. A 3 Times Table. 4 Times Table. B 5 Times Table. 6 Times Table. L 7 Times Table. 8 Times Table. E 9 Times Table. 10 Times Table. 11 Times Table. 12 Times Table. T A B L E S C H A R T 13 Times Table. 14 Times Table. 15 Times Table. 16 Times Table. C 17 Times Table. 18 Times Table. H 19 Times Table. 20 Times Table. A 21 Times Table. 22 Times Table. R 23 Times Table. 24 Times Table. T 25 Times Table. 2 Times Table. I 3 Times Table. 4 Times Table. M 5 Times Table. 6 Times Table. E 7 Times Table. 8 Times Table. S 9 Times Table. 12 Times Table. T I M E S T A B L E 13 Times Table. 16 Times Table. T 17 Times Table. 18 Times Table. A 19 Times Table. 20 Times Table. B 21 Times Table. 22 Times Table. L 23 Times Table. 24 Times Table. E 25 Times Table.